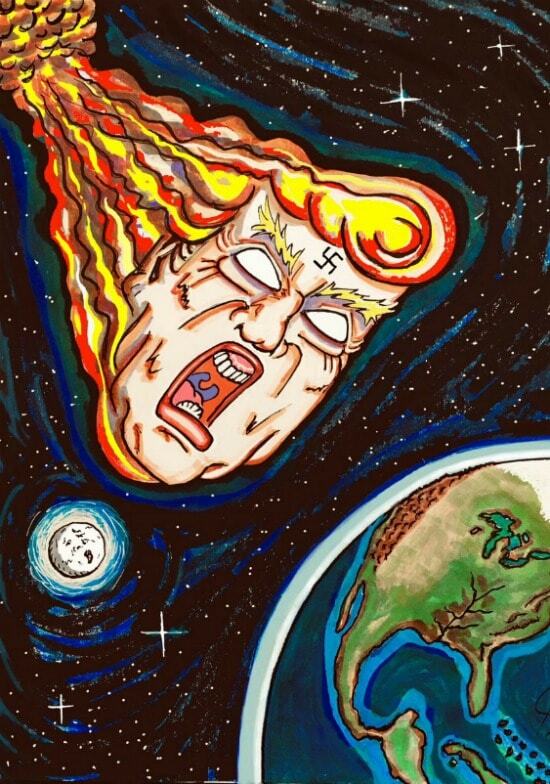 Oh, baby — Jim Carrey laid a sick burn on Donald Trump in his latest artwork. 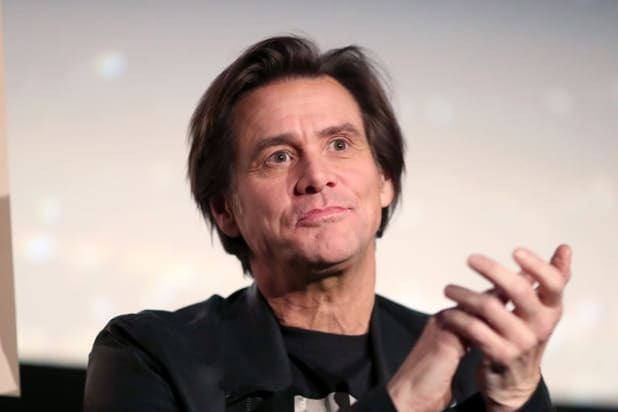 Actor/artist Carrey hit up Twitter on Sunday, as California struggled with the fires ravaging the state, to unleash his newest Trump-thumping piece. Well, they almost spell out “Trump.” Big Baby is holding the “T” block in his chubby, stubby fingered hand, leaving “Rump” spelled out on his high-chair tray. On Saturday, Trump tweeted about the fires, threatening to withdraw federal money unless the “gross mismanagement” was remedied.